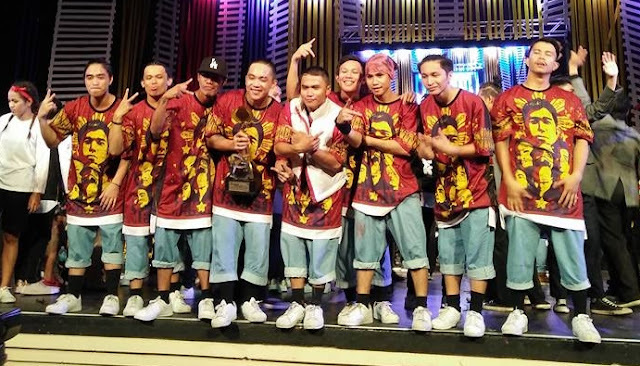 Out of 18 entries from all over the country, Xtreme Dancer's piece “Makata” emerged as the grand prize winner of the Sayaw Pinoy 2016 Hip Hop Dance Competition by the National Commission for Culture and the Arts (NCCA). Xtreme Dancers, one of the top dance groups in Koronadal City took home a trophy and a P70,000 cash prize. Held on December 3 at the South Cotabato Gym and Cultural Center in the City of Koronadal, Sayaw Pinoy was organized by the NCCA as part of its efforts to promote dance in its various forms. This year’s competition featured folkdance, contemporary and hip hop.